The first lady appears to slap away President Trump's hand when he tried to take it in his on the tarmac at Ben-Gurion International Airport. 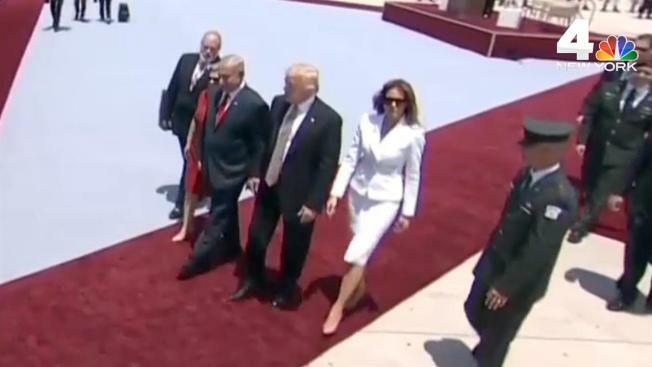 First Lady Melania Trump appeared to swat away President Donald Trump's hand as the two cruised down the red carpet on the tarmac at Ben-Gurion International Airport in Israel Monday, video shows. The couple had arrived in Tel Aviv for the next leg of the president's first official foreign trip, a two-day visit to Israel and the Palestinian territories, and was strolling along as hundreds watched when the first lady, donning a crisp white skirt and jacket, seemed to flick away the president's hand as he tried to grip hers in his own. Twitter user @raggapegs captured the now viral moment on video; it has more than 6,770 retweets and 9,500 likes in a matter of hours. Some speculated Donald Trump only reached for his wife's hand after he noticed Israeli Prime Minister Benjamin Netanyahu was holding hands with his wife as the two couples walked down the red carpet together. 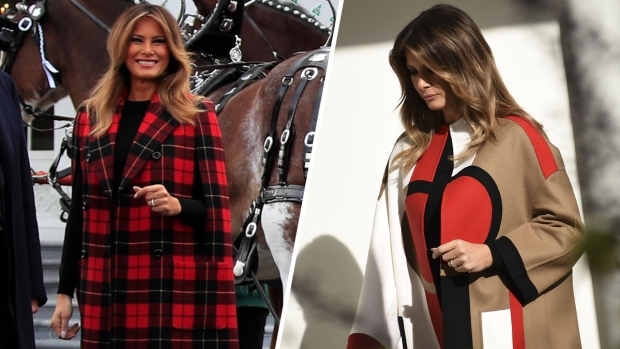 Others suggested Donald Trump simply withdrew his hand before his wife could take it. It wasn't clear what prompted the exchange, and the White House didn't immediately comment.